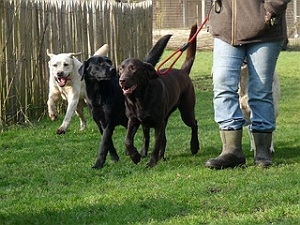 We have been successfully boarding dogs at Cwm Cadno for over 18 years, with passion, knowledge and enthusiasm. This has taught us that each dog needs individual attention. This has allowed us the pleasure of ensuring that the dogs enjoy their many stays at Cwm Cadno and leave us happy, healthy and in good physical shape after their holidays. Our daily exercise routine, feeding plans and care schedules of our boarders have earned us a reputation and a proven record of which we are very proud. The growth of our business, and its extension into the other services you see here, has led us to partner with other devoted people who share the same ideals and passion about animals as we do. This allows us to cater for extra boarders with the same care and attention that we are known for. To ensure this level of service we provide daily monitoring, support and personal attention on location. In looking for partners in this expansion, we realised that it is difficult to find suitable accommodation that offers the same positive energy/aura that is so essential for animal care. We are pleased to say that all our boarding facilities have these vital elements, both environmental and human, with professional, knowledgeable, compassionate carers. As a result Cwm Cadno can now provide expanded boarding options under our own banner, at our continuing high standards. If you want the very best for your pet, advanced bookings are highly recommended to reserve your chosen dates, especially in peak times such as school holidays. 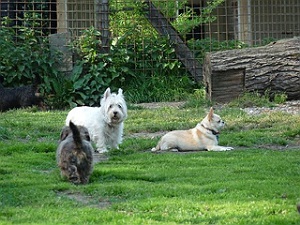 Holiday dates are booking fast for 2012, so please plan your pet's vacation as early as possible!